Teach children interactive Bible lessons with these Christian Thanksgiving ideas! The Thanksgiving season is the perfect opportunity to teach children of all ages (along with us adults) how it pleases and honors God when we have an attitude of gratitude. Of course everyday is a day of thanksgiving; there are many thanksgiving Bible verses that point us straight to that fact! This Quirky Turkey Treat comes with a lesson on the leper that gave thanks to Jesus. How many times do we neglect to go back and thank God for all He's done and His many blessings? Or use this Bible game called "T-H-A-N-K-F-U-L". It has children think of words using the letters in the word thankful and then puts them into an action game race! Try this really cute preschool Christian Thanksgiving Bible lesson from Hem-of-His-Garment Bible Study that is called "Is it all about the Turkey?" Another simple Christian Thanksgiving object lesson from Children's Ministry Magazine uses candy corn to teach how the Pilgrim's began placing 5 kernels of corn on their plates each Thanksgiving to remind them of God's provision. Coloring sheets are always a great take home part of any lesson. This Thanksgiving basket from Sunday School Network leaves room for children to write down things for which they are thankful. Christian Preschool Printables offers not only a wonderful Thanksgiving coloring sheet that includes 1 Thessalonians 5:18 - "Give thanks in all circumstances, for this is God's will for you." 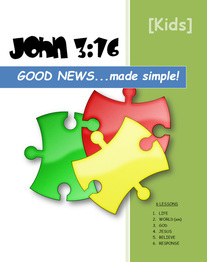 , but also printable memory verse cards and a handwriting tracing page of this Bible verse. Creating things with your hands is not only fun, but it helps the meaning of the lesson "stick!" Fall is a wonderful time to make Thanksgiving objects that will remind us to be thankful when we see them. 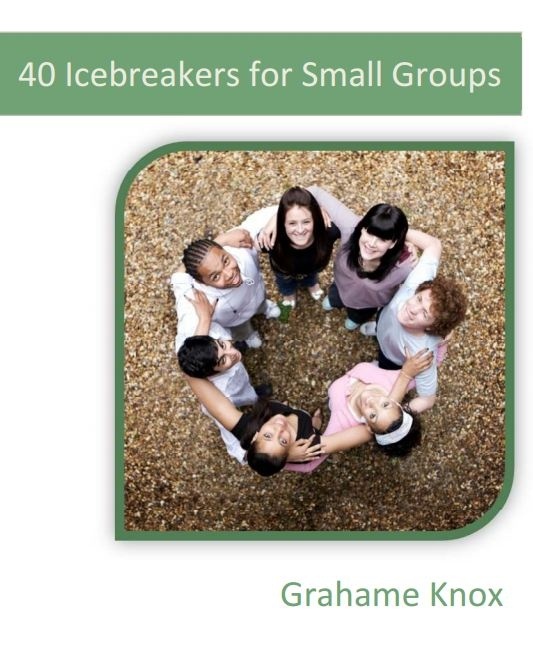 They can also become tools for your students to use to share Christ with their families, friends, and neighbors! 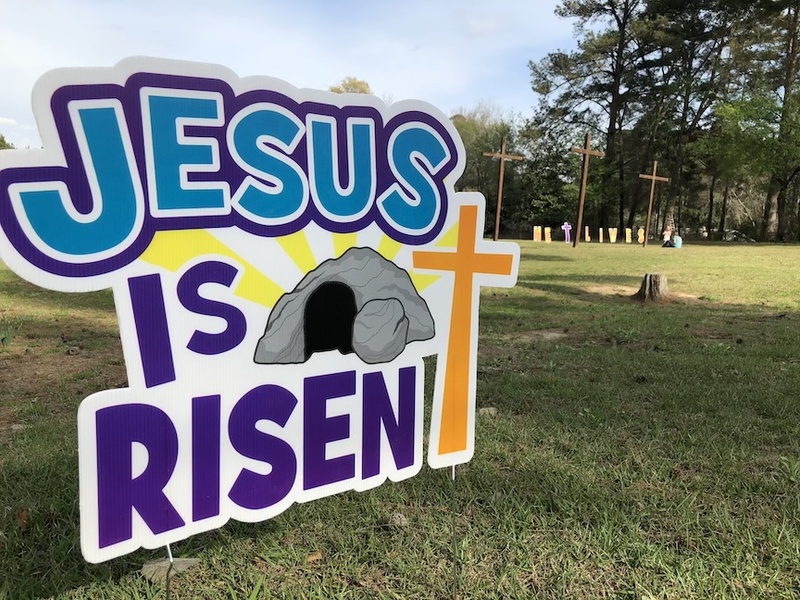 "What Christians want to Know" website, offers five Thanksgiving crafts for various ages of students from preschool through teens. A wonderful keepsake craft that is super easy and takes very little preparation is this Hands & Feet Turkey. 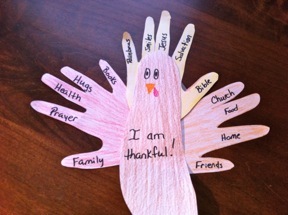 I like letting the kids write things for which they are thankful on each finger (feather)! 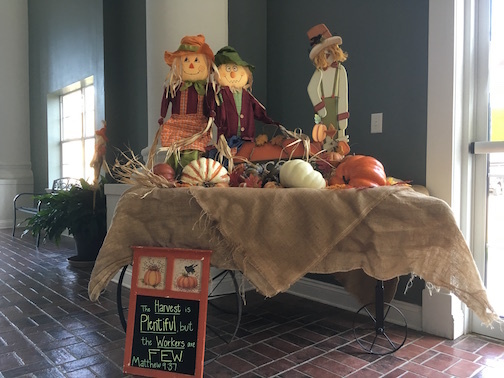 Over 30 Thanksgiving craft ideas are available from Danielle's Place and they are some of the cutest, and simplest, I've seen! Thanksgiving games can add fun and laughter to any lesson or family time too! 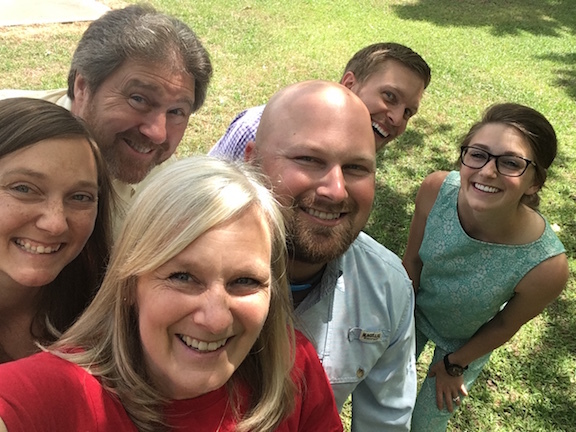 For older students, Youth Ministry 360 offers a free several free youth Bible study lessons, games & ideas geared straight for teens! The story of the ten lepers from Luke 17 is often used to teach Bible study lessons on being thankful. Ken Sapp from Creative Youth Ideas (one of my favorite places to find great youth ideas) offers a fun Thanksgiving Bible object lesson for teens! Have you ever gone to a Mystery Dinner? It's so much fun, and teens love it! 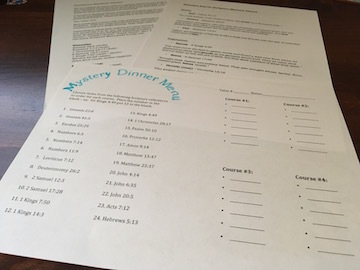 Here is a Scripture Mystery Dinner that would be great fun for Thanksgiving with full instructions including Scriptures for menu items available for download free! What fun!